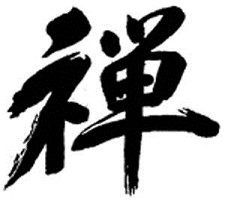 I highly recommend all translations by Malcolm Smith (Loppon Malcolm Smith [Kunga Namdrol]). Thusness and I think that Malcolm is a very serious and responsible translator. Some translations of Buddhist texts we have seen are pretty bad quality or the translators have been slack, but it is certainly not the case for any translations by Malcolm. The eleventh-century Seventeen Tantras are the most important texts in the Tibetan Buddhist tradition of the Great Perfection. This boxed set provides two luminous translations. 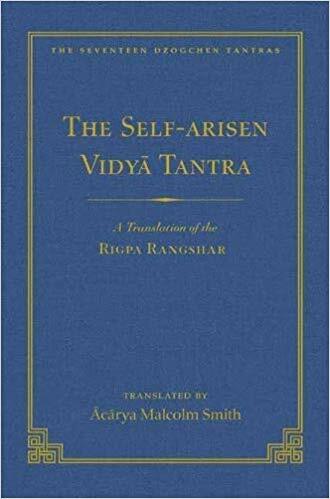 The first is the only complete English translation of the Self-Arisen Vidya Tantra, which is the major commentary tantra on all aspects of the doctrine of the Great Perfection. The second, the Self-Liberated Vidya Tantra, outlines the structure of Dzogchen tantras in general and also provides a detailed outline of the Self-Arisen Vidya Tantra. 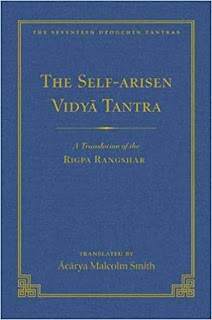 Acarya Malcolm Smith has certainly given the world a rare gift by presenting to English-reading Dzogchen practitioners this skilled translation of the first two volumes of the Seventeen Tantras, the Self-Arisen Vidya Tantra and its accompanying commentarial tantra, the Self-Liberated Vidya Tantra. What is the Awakened State like Experientially?